We will be having our first Saturday ‘breakfast and a movie’ this week, so join us at hangar S-12. Mr. Brian Brown will discuss his own story of decision making as a pilot and the resulting crash and survival in the Idaho mountains. Past presentations of Mr. Browns’ story have resulted in accolades from the attendee’s regarding his honesty, clarity, and lessons learned from an event that has changed his life. team, and military aircraft flybys are scheduled. Also on the agenda is a dinner dance to be held on Friday evening at an airport hangar. The AirFest is being organized by the Lincoln Regional Airport Foundation in cooperation with the city of Lincoln. A growing group of corporate and community sponsors have signed on to make the AirFest happen. Besides the airshow, there will be a large static display of aircraft, food and drink vendors, and a variety of programs. This will be another opportunity to feature the Lincoln airport to the local community and the region at large. EAA Chapter 1541 will be supporting the event, as it did last year, with AirFest volunteer teams and pancake breakfasts to be held both Saturday and Sunday mornings. A great website is already up and running. The Lincoln Regional Aviation Association (LRAA) is forming a Disaster Airlift Response Team (DART) at Lincoln Regional Airport. The LRAA is proud to join the growing network of CalPilots and EAA Chapters across the state of California who are forming DART operations as a prime mission of their organizations. California Pilots Association, has embarked on an ambitious program to build a statewide network of local disaster airlift response teams (DARTs). The teams are modeled after the existing teams at the San Martin and Watsonville airports, and are a program of the local affiliated CalPilots organizations. The LRAA is hosting a DART Introduction and safety meeting Saturday March 25, 10:00 at 1880 Flightline Drive Unit #1. This safety meeting has been approved for “Wings” credit. Click here for details and to register online! By pre-registering, you will be helping us better plan this event. The goal of this meeting is to introduce DART, its history, mission, and general operating guidelines. There are many ways in which aviation enthusiasts, public safety personnel, as well as members of the general public can participate. Jim is looking for ground crew to support the KLHM 2017 Airfest for the three days of the airshow. Friday, 6/09 is the setup of ramp controls and airshow practice. – The FAA will be present to review all of the preparations, so this has to go well. Saturday, 6/10, the airshow day. This will require to largest number of ramp folks. Sunday, 6/11 is a STOL competition, and after the close, some tear-down to open up the ramp to all aircraft traffic. We’ll organize this as 2 time frames, 07:00 to 12:00, and 12:00 to 4:00. The times may be adjusted. We will set up for breaks and lunch, so volunteers won’t be out on the ramp for 4 straight hours. There will also be additional folks for relief (and for some no-shows). If the ‘tear down’ is not completed on Sunday, we will need a few folks on Monday to complete the work. Please email Jim with the days and times you’ll be available to support this important aviation event. Once again Calaveras Airport is hosting a Fly-In and Open House on April 22nd, 08:00 – 17:00. Join in the fun and make KCPU your fly-in destination April 22! EAA 1476 at Rancho Murieta will be flying Young Eagles on March 26th. Please call Kimberly Sanders Smith on (916) 607-4023 if you can make one flight, or many. They need pilots! There are NO landing fees for EAA activities!! Note that Young Eagles pilots must be EAA members, have the training and have the EAA as a named insured on their a/c policy..
Our member’s meeting on Wednesday, 3/15 is a special presentation by Brian Shul. Note the NEW LOCATION, Cattlemens Restaurant, 2000 Taylor Road, Roseville. Dinner is 18:00 to 18:45 Presentation at 19:00. The menu is a choice of steak, chicken, ravioli or salmon, and the price of $22 includes a soft drink, tax and a tip. We are asking for a $5 donation to cover the speaker fee. Don’t just relive history; be a part of it. Fly aboard one of the rarest WWII heavy bombers still soaring the skies today: EAA’s mighty Aluminum Overcast, a B-17 Flying Fortress. 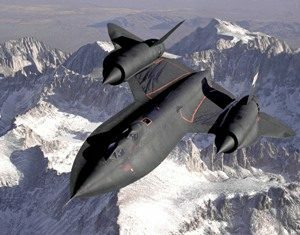 Brian Shul, SR71 pilot and the author of “Sled Driver” and “The Untouchables” will be presenting at the March membership meeting on the 15th. It’ll be at Cattlemens Restaurant, 2000 Taylor Road, Roseville.